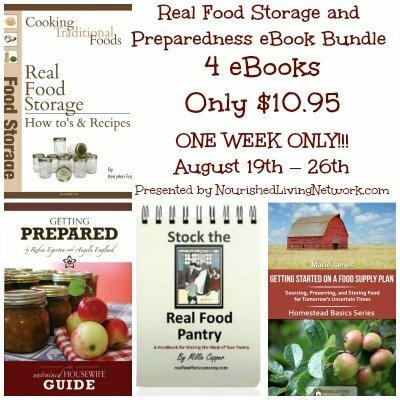 Food Storage and Preparedness eBook Bundle! Have you ever wondered how you’d feed your family if the retail grocery store system failed? Do rising prices and declining food quality make you want to take matters into your own hands? 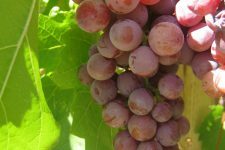 Getting Started on a Food Supply Plan: Sourcing, Preserving, and Storing Food for Tomorrow’s Uncertain Times by Marie from Rural Living Today, will help you create a system that will raise your level of preparedness, increase your self-sufficiency, and provide peace of mind. 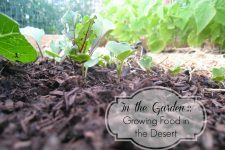 Topics introduced include raising your own food, finding local sources, home preserving, and storing food. 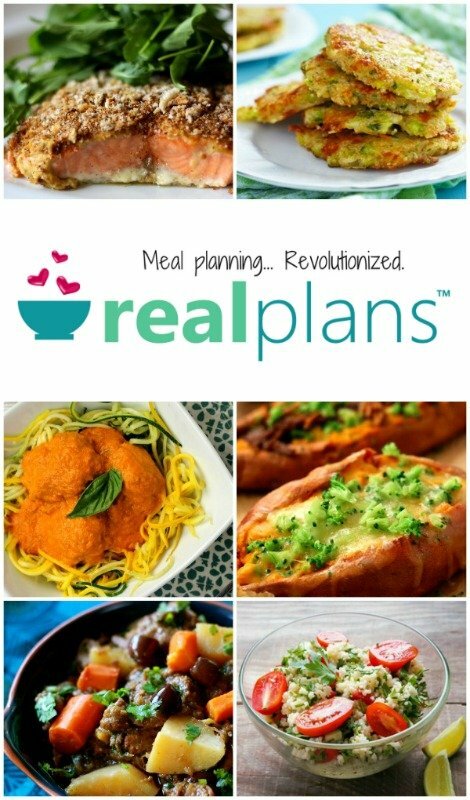 Real Food Storage by KerryAnn Foster from Intentionally Domestic is the original preparedness ebook for traditional and real foodies! This eBook contains an overview of how to store foods without going off of your traditional foods diet plus over 200 recipes to get you started. No matter what your real food diet, whether you’re real foods, gluten &/or dairy-free, paleo, GAPS or more, you can begin and build a successful food storage program as food insurance for your family. All of the recipes have been kid-tested and are family friendly. 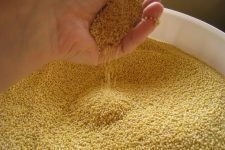 Recipes include sourdough baked goods, breakfast, quick breads, side dishes, main dishes (meatless, chicken, beef, salmon, turkey, lamb), packaged and processed replacements and desserts. Stock the Real Food Pantry- Second Edition by Millie Copper of Real Food for Less Money, is a 55 page handbook designed to help you make the most of your pantry. We’ll cover exactly what the pantry is, how you can use it to stretch your food budget, and why you might want to enjoy a well stocked real food pantry. This version (the second edition) has been expanded to include not only stocking your pantry but more options for food storage and other ideas for beyond the well stocked pantry. You’ll love the practical, budget-focused concepts and ideas presented in this handbook. Getting Prepared from Angela of Untrained Housewife, is a beginner’s manual for how to get started feeling more confident and self-reliant during life’s unexpected happenings. While we all certainly hope that nothing bad will ever happen, we all secretly know that it could. From emergency grab-and-go bags, to a 30-day food plan, this book will walk you through all the elements to consider. You’ll find words of wisdom from someone who’s done it all and can guide you step-by-step without overwhelming you. If you’ve thought about trying to get better prepared and develop an emergency plan, but have been unsure about where to start, this is the book for you! 4 eBooks, retail value of $51.88, for only $10.95! It disappears forever on August 26th at 11:59pm PST! Click the “BUY NOW” button below to get your copies. these books when you purchase through Frugally Sustainable. And I just want you to know that I appreciate your support! Stock the Real Food Pantry is really required for me. Could you please share the best deal for the same with me ? Sad! Wish I hadn’t missed this!